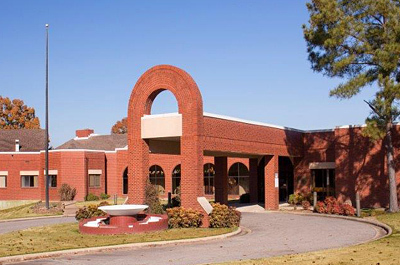 Located on a beautiful picturesque landscape in the Arkansas River Valley, Valley Behavioral Health System offers the areas only complete continuum of care. Valley Behavioral Health System is able to place clients in the most appropriate environment providing superior behavioral healthcare services. Specializing in children and adolescents, Valley Behavioral Health System offers inpatient services under the medical direction of board certified psychiatrists, with each patient receiving individualized treatment plans provided by a multi-disciplinary team of therapists, social workers, psychiatric nurses, educational specialist, Advanced Psychiatric Nurse Practitioners and recreational specialists and a team of other caring mental health professionals. Valley Behavioral Health System respects the dignity of each individual patient. With emphasis on care, family involvement, comfort, safety, Valley Behavioral Health System is committed to attaining good quality care for your loved one. Valley Behavioral Health System offers a confidential, caring environment that promotes crisis resolution, positive self-awareness, social skills, and personal growth that is monitored in a safe environment 24 hours a day 7 days a week.